Counsellor: G’day. How’s it going? Student: I’m fine. I’ve been thinking about our last chat and I think it’s true that I worry too much about what others think. Counsellor: You’re not alone, and it’s useful that you have been thinking about your anxiety and what might be causing it. Last time we spoke we talked about ‘needing the approval of others.’ Do you recall? Student: Yeah. I’ve been thinking a lot about this. I do want to be liked by others. Isn’t it OK to want be liked by everyone? Counsellor: Can you be liked by everyone? 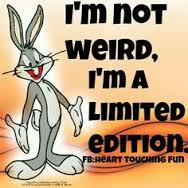 Do you think this is a reasonable expectation to have of others? Student: I try hard not to offend anyone so shouldn’t they think well of me? Counsellor: Want and need are interesting ideas. Can you see a difference between the two? Student: Yes I think need is stronger than want, like you need water to survive but you don’t need to have chocolate. Without water you will die but without chocolate you can still survive! Counsellor: Well explained. What is the difference between wanting to have others like and respect you and needing others to like and respect you? Student: I get what you mean. I’m into needing others to like me, like I will die if they don’t! That’s what’s going on with me, that’s why I feel so bad when other people seem not to like me. That’s why I try hard to please them! Counsellor: I think you are working it out pretty well. You have identified a belief or rule that you have that is not helpful to you because your anxiety is linked to this rule. Do you know what your rule might be? Student: I have an idea that it’s something to do with my need for others to approve of me. Am I warm? Counsellor: You are very warm, hot even. Can you begin saying your rule with: ‘I need the..
Student: OK. 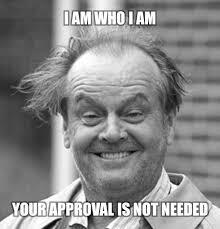 I need the approval of others. Student: I need them to like me so I can feel good about myself. Counsellor: Yes indeed. Well done! And when you don’t get the recognition or approval you ‘need’ how do you feel? And how does this effect your life? Student: I feel really anxious and I can’t concentrate on anything because I have made someone upset. Counsellor: Well done! You’re beginning to understand where your anxiety comes from. You have worked out what your feelings and behaviours are connected to. What would that be? Student: That would be my rule wouldn’t it? Counsellor: Yes or belief. Tell me what your rule is but instead of beginning with ‘my rule is’ use ‘I believe that’ instead. Student: OK. I believe that I need the approval of others for me to feel OK. How’s that? Counsellor: So who or what is ‘making’ your anxiety? Student: I think my rule or belief makes my anxiety. Would that be right? Counsellor: Yes I agree that you have developed a MUST belief. People you like and respect MUST like and respect you but ‘must’ they? Can they? Student: I’m beginning to understand that I can’t expect everyone I like to like me but it’s hard for me to accept this. But it makes sense. Counsellor: It might make sense but you have been practicing this MUST rule all your life and it will be difficult to replace it with a healthier more sensible rule. Student: What would that be? Counsellor: You might want chocolate but you don’t have to have it. You might want their approval but you don’t have to have it to be OK. How could you express the notion that you might want chocolate but you don’t absolutely need it? Clue - use ‘prefer’ in your sentence! Student: OK. I would prefer to have some chocolate but I don’t have to have it. I prefer people I like to like me but they don’t have to. Counsellor: Will you die of you don’t get any chocolate? Will you die if someone you like doesn’t like you? Would it be so awful that you couldn’t stand it? Student: No I wouldn’t die and I could stand it but I wouldn’t like it, I still wouldn’t like it! Counsellor: No it would be bad but not so bad that you couldn’t stand it. You can’t always get what you want and that’s true don’t you think? You might not get what you want (them to like you) but you are still OK even if they don’t. We will talk about this further in the next session. Well done. I had intended to talk about Unconditional Self-Acceptance (USA) but I have taken a while to get to this point. 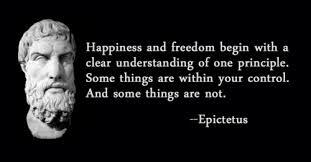 The student has shown considerable insight into what he believes (his philosophy) and how this drives his anxiety. Intellectually he understands what’s going on, he can talk the talk. But it will be a while and take a lot of hard work before he will automatically walk it. This is called emotional insight and we will continue with this case study in the next post. This is Rational Emotive Behaviour Education at work. Good one Dr. Ellis! This is a transcript of a series of 3 counselling sessions I had with a year 10 student. 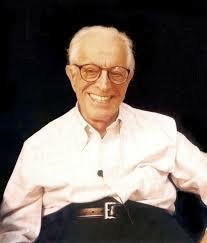 I used Albert Ellis' ABC Theory of Emotional Disturbance to help him. I am a Rational Emotive Behaviour Counsellor. This student feels anxious over something that has happened. He asked another student if he had a problem (are you OK? Can I help?). This was misinterpreted (what do you mean I have a problem?) and he responded aggressively. The student was taken aback and then began to mull over the response he received. He asked a trusted teacher if the esteem in which other teachers held him was now diminished. The teacher said not in any way but the student remained preoccupied and went to see the counsellor outlining what had happened and how best to deal with the situation. Student: I am concerned about how a student responded to me. I am caring and I didn’t intend to offend him when I asked him how he felt and if I could help. I am worried that he thinks I intended to offend him. I want to be a nurse one day; everyone knows I like to help. Counsellor: So you asked him if he had a problem and he didn’t appreciate the questions. He felt annoyed. Is that right? Student: Yes and I don’t understand why he felt that way. Anyone who knows me would say that I am caring and I am genuine when I ask how someone is. Counsellor: You are caring and considerate of others generally and you are known for this. 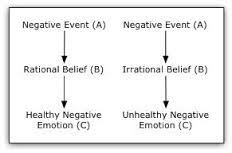 One individual has interpreted your intentions in a negative way and you feel upset and worried about this. Student: Yes I do. I asked Mr S. if the other teachers would think less of me because I have offended someone. I am worried about this. Counsellor: Using the Emotional Thermometer how would you rate the intensity of how you feel? How strong is your worry? Student: It is around 9/10. Counsellor: That’s strong. How often do you feel like this and for how long? Student: Most of the time I feel anxious about things. Counsellor: How does this affect your day-to-day life? Does it help you achieve your goals or get in the way? Student: I can’t focus on what I have to do. Counsellor: From what you tell me you feel anxious a lot of the time because you want everyone to like you and you think it would be terrible if anyone thought badly of you. You really care about what others think of you. Do you think you care too much? Do you need other people to approve of you for you to feel OK? Student: How did you know that? Counsellor: The belief that ‘I am OK only if others think I am’ is an unhealthy belief because it stops you from working towards your goals. You feel nervous and worried a lot of the time (unhealthy negative feelings) because you think it would be terrible if anyone knew you made mistakes or didn’t seem to approve of you. Student: This stops me from being successful because I can’t concentrate on my work because I feel very worried a lot of the time! I worry too much about what others think of me but I can’t seem to stop doing this. Counsellor: You have the tendency to believe that everyone must like you because you are a likeable and caring person and others should recognise this. Is this fair to say? Student: Yeah. I just can’t handle it. What can I do? Counsellor: We will look at your belief that you need everyone’s approval to be OK and why this is keeping you anxious. We will work on this next time we meet. In the meantime remind yourself that you don’t need other people’s approval to be OK. You can prefer it but you don’t need it.